Italy’s Navigli area is home to charming cafés and excellent restaurants that are great for a break during the day; however, it’s at night that the area really comes to life. After dark, Navigli turns into one of Milan’s liveliest areas for a drink. Check out our guide for to the 10 best bars to discover here. Il Barcone is located right next to the Naviglio Pavese, an important canal in the heart of the Navigli district. The bar’s outdoor seating area not only offers amazing views of the canal, but it’s a great spot to watch the nightlife going on in the rest of the quarter too; everyone seems to pass by here. Especially known for its fantastic cocktails, ranging from martini classics to summer specials, Il Barcone also has a happy hour during the traditional Milanese aperitivo hour. La Vinera is an authentic wine cellar, where local wines and oils from neighboring regions are stored, with an attached bar for guests to taste and buy these high-quality products. 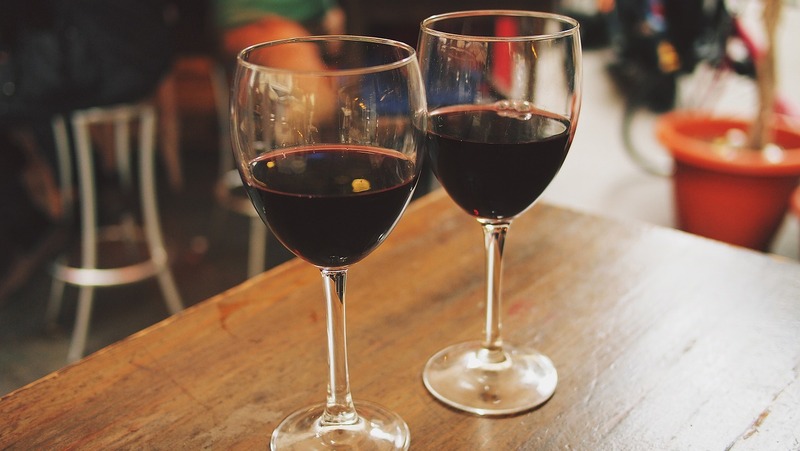 As La Vinera shows, quality wines do not always have to be the most expensive; most wines can be bought by the glass or bottled and they also have a great home-delivery service for those who prefer to enjoy their wines in the comfort of their own homes. The wine bar offers special tasting events with a set food and drinks menu. Rita is an authentic cocktail bar in the heart of Milan’s Navigli district with an outstanding cocktail menu (try the Willy Wonka, made with ginger marmalade, honey lime white cocoa cream, gin and bergamot) and a great selection of high-quality Italian wines and local beers. Although the venue is primarily a bar, Rita’s also has a small kitchen where the excellent chef prepares fantastic dishes with a dedication to organic ingredients. If you have had too many glasses of spritz and wine for aperitivo during your stay in Milan, head to BQ, Birra Artigianale di Qualitá, for high-quality local and international beers instead. BQ has a great selection of vintage bottled beers, ranging from Westvleteren by St. Sixtus brewery to the special Noel from Baladin and the slightly sweeter Framboise Lou Pepé from Cantillon. The drinks are accompanied by a wide choice of appetizers, paninis, traditional desserts and other Italian specialties. Ugo is a fantastic bar in the heart of the Navigli quarter that offers some of the most outstanding cocktails in the area. The retro atmosphere, as well as the unique menu, including drinks such as the monkey 47, a rum cocktail served with juniper berries and 1724 tonic water, attracts large crowds of guests on both weekdays and weekends. 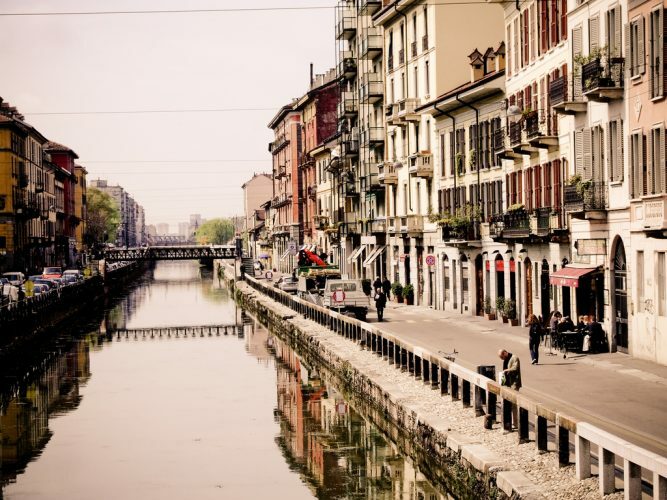 If you are looking for great Lombardy wines and a friendly environment, Il Vinaccio sits right on Ripa di Porta Ticinese, one of the liveliest streets in the Navigli district. The intimate venue with its warm atmosphere attracts plenty of repeat business, with wine lovers eager to try its fine vintages. Plus it serves traditional Italian snacks, such as antipasti, crostini and pasta. Gin012 is the first gin bar in Milan, which makes it the perfect place for gin lovers coming to the city. Gin012 is much more than an average cocktail bar, with a stylish decor and a unique cocktail menu including a great selection of all-gin cocktail classics (try the fabulous Gin Fizz) and new personal creations. In addition to this, high-quality gins can also be tasted neat or on the rocks. The Beer Box is one of the few outstanding places in Milan where guests can get more than the usual one or two bottled beers. Beer Box is dedicated to offering high-quality beers that are hand-picked from both small Italian breweries as well as larger breweries from renowned beer countries worldwide, such as Belgium. In total, over 90 different beers are on offer here, from Europe, North and South America as well as Asia. Located on Ripa di Porta Ticinese, Rebelot Del Pont is dedicated to wines with a specific identity and interesting history that are hand-picked directly from passionate winemakers. In addition to this, the bar offers an inventive cocktail menu that is full of personal creations, such as amore amaro made with campari, grapefruit juice and vermouth velvet or 697 serve made with the special oscar 697 red vermouth, vanilla liqueur and liquosinthe spray, by the bar’s excellent mixologist. Pinch – Spirits and Kitchen is widely known for its cocktails and wines, but also for its excellent cuisine that works perfectly with the bar’s drinks offers. Pinch – Spirits and Kitchen also offers inventive special events, such as Don’t Tell My Mum, which is an evening of storytelling, where everyone is invited to tell a story for at least five minutes on stage. This is also accompanied with live music by local artists. The bar is part of the so-called Brance Drink Experience, where six outstanding bartenders from different bars regularly offer their best drinks in a challenge.